Burst pipes or leaks have been a problem in homes for generations. In recent years, we also have an added problem, with flash floods and rivers over spilling their banks. All this means that flooding and water damage is far more common than ever before. So what should you do if you experience water damage in your home? If the cause of the water damage is coming from a pipe, radiator or other source of water in the house then the first thing to do is to shut off the water at the stopcock in the house. Even if you are experiencing a flood, it is worth doing this as you don’t want anything to make things worse. You may need to get some advice about your boiler if you are shutting off the water to it and it might mean turning it off as well. If there’s a really dangerous mix, it is water and electricity. So with any kind of water damage bigger than a puddle or a dripping pipe, you need to turn off the electricity supply in the home. It is also a good idea to unplug electronics and move any electrically powered items up, out of the proximity of the water. If items did get wet, make sure they are unplugged and get them somewhere to start air drying – don’t plug them back in until they have fully dried. If you have insurance in place, now is the time to get in touch with them. Many companies will have approved repairers or companies they work with for different water damage issues. This can save you a lot of time phoning around to find people to help and means you will just have an excess to pay rather than the whole cost of the damage. Remember, buildings insurance covers damage to the structure while content insurance covers your furniture, belongings and carpets. The next step is to start getting rid of the water, so you can begin to assess the damage. Depending on how much and what the cause, this might be anything from loads of old towels to soak it up, to a proper pump, running from a generator to discharge the water out of the house. Aim to pump to the drains or to a lawn area if you can reach them or they are backed up. Now you are in a position to see what the extent of the damage is and start looking to dry things out. Depending on the situation, fans can help and even opening the windows can assist if the humidity outside is lower than the humidity inside. Be careful of any bacteria, mould or mildew that might start to grow on the wet surfaces and if you see signs of these, don’t use a fan until you have removed them as it could blow the spores around. It is important to be very careful when there has been water damage, especially if the water came from outside the house. Water from sewage and drains contain a lot of bacteria and others can grow in the wet conditions – mould and mildew are two already mentioned. Make sure you use the right kind of disinfectant and cleaning products to combat this. Also, aim to keep moisture levels down as this will help discourage the growth of black mould and other damp related problems. Damp is an opportunist and can make use of the smallest weakness to enter your home and cause problems. Take a look at areas of the house that might be wetter than others – drywall is a classic example. This absorbs a lot of water and therefore can remain wet after everything else is dry. This would create an ideal spot for damp problems to start black mould being a top issue in this situation. Look at skirting boards and other dark and damp spots where mould can grow. You may even need to look at things like air purifiers to help remove all that nastiness from the air. Black mould is toxic and the spores from it can lead to a number of health problems including breathing issues and allergies. So it is important to keep an eye on these problems in the weeks and months after the water damage to ensure your home doesn’t fall victim to another big problem. 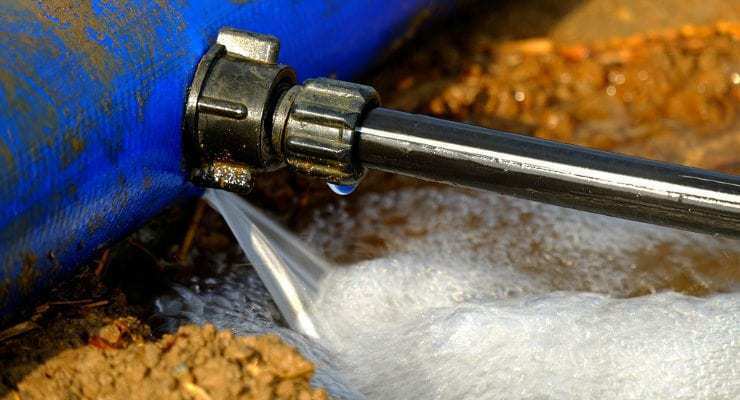 If the cause of the water damage was something like a leaking or burst pipe, it is also worth having your pipes checked to make sure none of the others is showing signs of weakness. The last thing you want is to get the water and damage cleared, only to have another pipe of a similar age and condition burst and set you back again. For assistance with water damage for your London property, see, https://www.tapcohomedry.com/services/water-damage-dry-repair/ for further information. Content Marketing in Estate Agency – The Silver Bullet?